Our wig recipients and families are invited to an annual Halloween Party at Maggie's Wigs 4 Kids of Michigan Wellness Center & Salon (30126 Harper Avenue, St. Clair Shores, MI 48082). 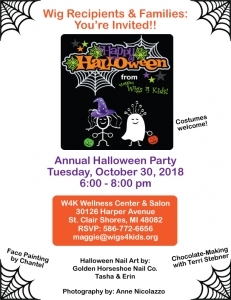 The event will be held on Tuesday, October 30, 2018 from 6-8 pm. Please join us for face painting, chocolate-making, and much more! Fun costumes are welcome! 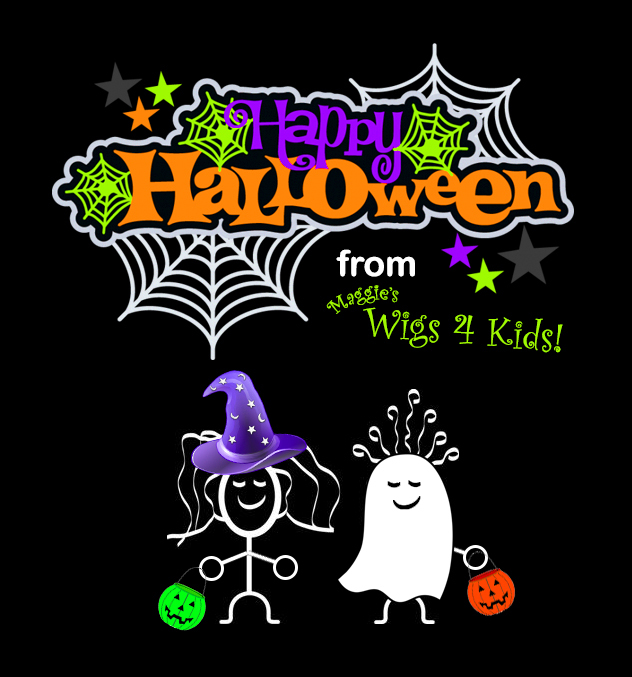 Please RSVP by phone at: 586-772-6656 or email maggie@wigs4kids.org with the names and number of guests attending.